I've finally watch the movie A Single Man. It's in very limited release in Sydney. In fact I have to drive 40 km round trip to near Bondi beach to the cinema, during the day of the Tsunami warning! I've seen the ending coming very earlier on because I sensed that the best laid plan in life always had a way of getting derailed. And I felt that men tended to be less able to cope with grief and loss than women. Perhaps George Falconer's heart has been failing for the past 8 months, after James died. This is a movie about love and grief, not gay, fashion or politics. 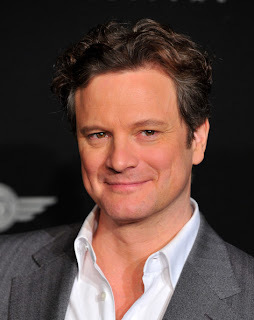 Colin Firth's performance is exceptional, in every minute of the movie. He's so worthy of winning the oscar as compared to the performance of Sandra Bullock in the Blind Side (I haven't watched BS, but the clips I saw so far made me shook my head)! David Stratton from The Movie Show (a top-rating tv show here) interviewed Colin about A Single Man. After the interview clip, he said he wished Colin went on to win the oscar. It's really high praise from Stratton! I haven't seen A Single Man. I've seen blurbs about it, though. It does look good. You're up very late/early. Time for a midnight movie?